Are you interested in how we can use renewable energy to reduce our carbon footprint? On the 26th January our audience braved the cold weather to visit the Starbucks Cafe at Borders. 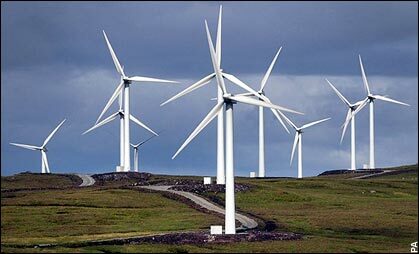 We found out how wind farms are constructed and how this can help provide Scotland with electricity. At this event we also investigated the challenges of designing and building wind farms. Did you know that Scotland is home of the world’s largest wind turbine – and is ideally situated to take advantage of electricity generated by wind power? James Milner-Smith, from Airtricity and Scottish and Southern Electricity discussed his experience in the design and planning of wind farms. After his talk James and his colleague answered questions from the audience for over 50 minutes.